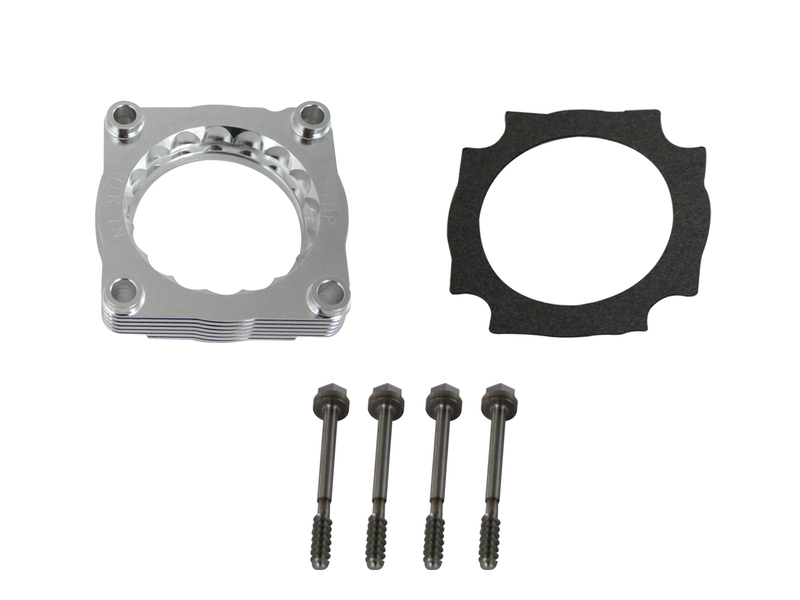 aFe Power Silver Bullet throttle body spacers use a unique serrated/helix design to agitate the air flow just prior to entry into the engine block. The agitated air stream atomizes the fuel in the combustion chamber for a more complete burn cycle resulting in increased horsepower, torque and improved throttle response. The serrated/helix design also minimizes the annoying whistle found in “helix only” throttle body spacers. 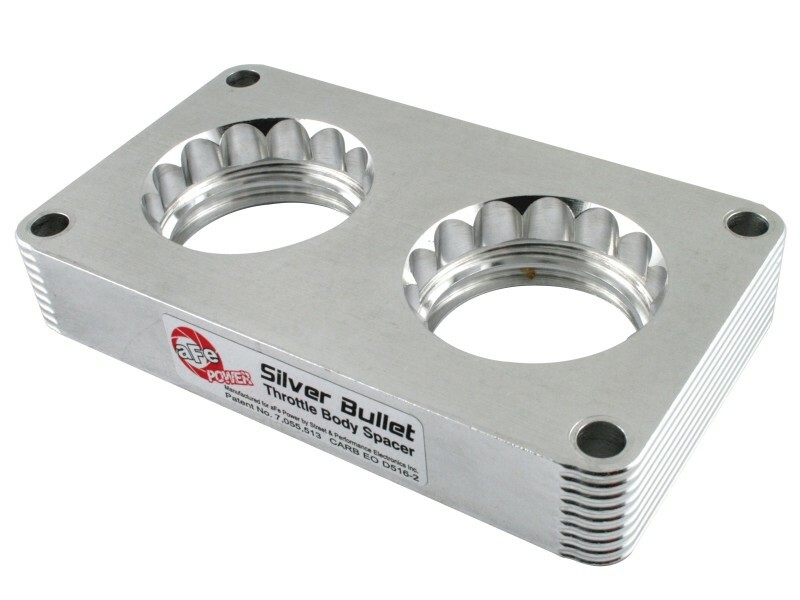 Silver Bullet throttle body spacers are constructed of durable 6061-TS aluminum billet and precision-machined for perfect fit. All hardware and components are included for simple and hassle-free installation. 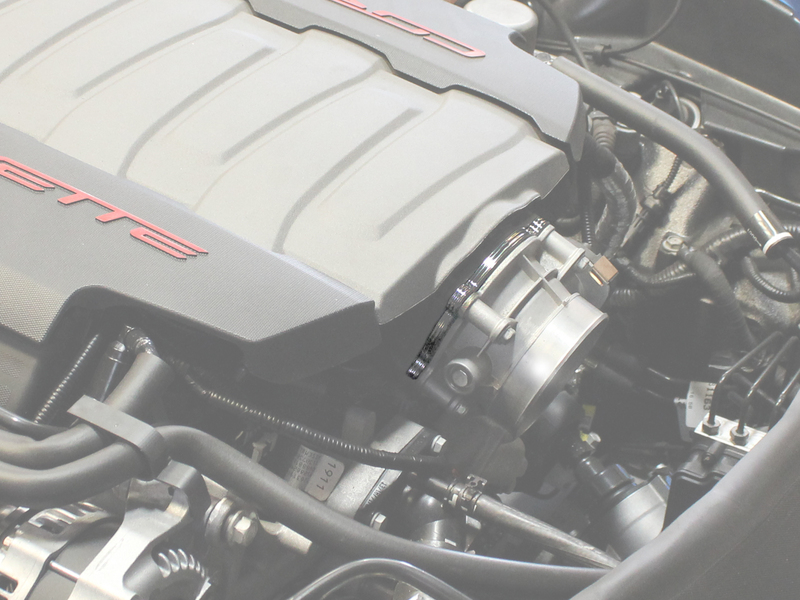 Each throttle body is precision-machined for a perfect fit and can be used with either stock or aFe Power air intake system. 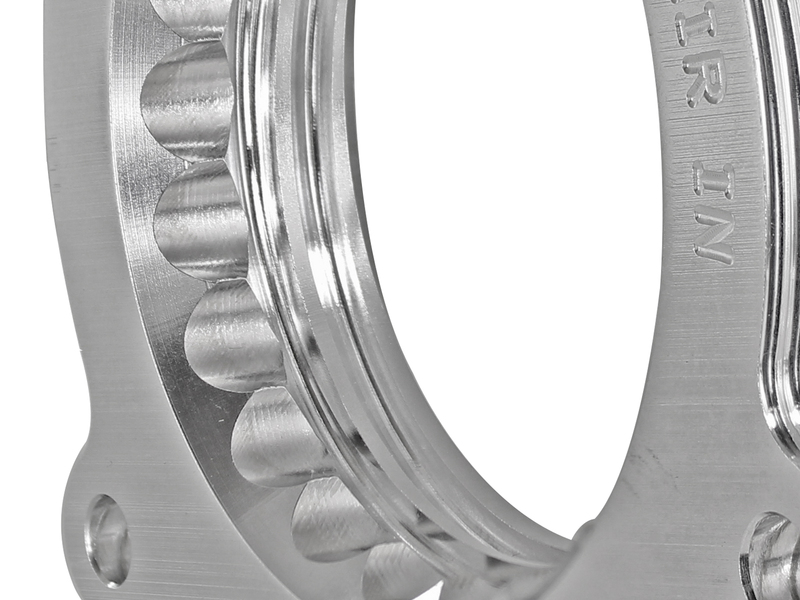 A unique serrated/helix design helps break up the fuel/air mixture resulting in a more complete combustion cycle for increased performance.